Do you need a carpet cleaning service in Holborn? Magic Carpet Cleaning has been providing quality services for many years now. By using only new and advanced cleaning equipment, they make your carpets clean as new. You can call our assistants on 0208 861 0979, for more information and a price quote. With Magic Carpet Cleaning Company, there is no hidden charges and taxes. Make your carpet as clean as new, by using one of most recommended cleaning services – Dry powder cleaning or Hot water extraction. Is you carpet full of stains? Then book Magic Carpet Cleaning stain removal service. Magic Carpet Cleaners can bring the new look of every carpet, no matter its size or condition. If you need cleaning service in Holborn EC1, Magic London Carpet Cleaning is all set to provide you with it. With many notable people living in locality, the quest to appear classy requires the houses to take first step towards cleanliness. Magic London Carpet cleaners in Holborn EC1 are using only eco friendly and pet safe detergents. They are very efficient and with our advanced steam and dry cleaning tools, they can clean every stain and spot on carpet. You can call us anytime of the day. Our Customer support assistants are ready to answer to every question you have about our services. 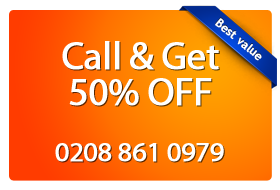 Just call us on 0208 861 0979 and you will get a price quotation for free. You can use our oo-line booking form as well.